A winner and four runners up have been chosen for this year’s photography competition, hosted by Chislehurst Commons. Locals were encouraged to submit images that capture the essence of the Commons or show off its beauty. The panel of judges was made up of Don Drage, official photographer for Chislehurst Commons, and the two Keepers, Jonathan Harvie and Peter Edwards – both of whom are keen photographers. All the entries were judged anonymously so no favouritism could be awarded on the basis of age or experience. The panel were not overly concerned with technical ability. They made their choices based on how well the images reflect the Commons. All three judges had different favourites so it took a bit of negotiating to whittle over 50 entries down to 5. The overall winner is Stephen Abrams for his sunlit woodland (above). “The colours are great and give the woods a magical feel. The two figures in the distance are symbolic of people enjoying the Commons without dominating the shot,” says Don. Second place goes to Vincent Oliver for his desolate, frosty view of the Overflow Glade, a clearing off Prince Imperial Road which is popular with dog walkers. Third place has been awarded to Mark Grover for his reflective view of Prickend Pond on the High Street. 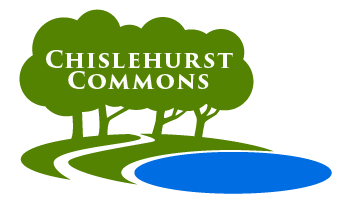 Although this is an iconic view of Chislehurst, not many people are aware that the ponds make up part of the 180 acres of Commons and are maintained by the two Keepers. Fourth place goes to Jenny Allen for her abstract close-up of a large silver fern. A special mention goes to Ava Sharpe for her incredible photo of spiders taken outside her home on the verge of the Common. Ava, age 5, spotted the photo opportunity on her way to school. Although not technically of the Commons itself, it is representative of all the wildlife; a fabulous photo that all three of the judges picked out as one of their favourites. We are extremely grateful for all the entries and will be making use of many of the images for future publicity. The winner and four runners up will be displayed at the Rotary Club Summer Fair which takes places on the Common this Saturday (10th June).